If Sen. Elizabeth Warren (D., Mass.) thought she could get through her Iowa trip without addressing her infamous DNA test from last year, she was wrong. Warren again defended her decision Saturday to release a DNA test showing a distant Native American ancestor, saying she was "not a person of color" but couldn't stop President Donald Trump from "hurling racial insults." 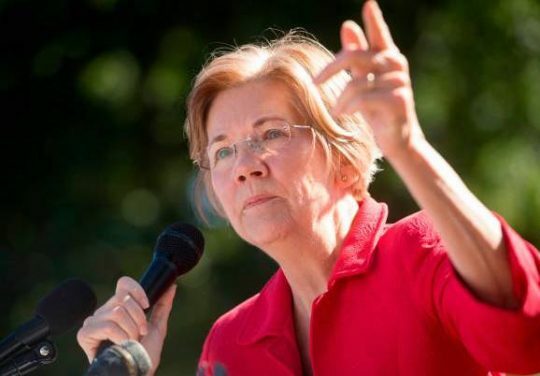 It was the first question posed to Warren at an organizing event in Sioux City, on the second of five stops in Iowa this weekend following the formation of her 2020 presidential exploratory committee. The woman asking the question took a scolding tone. "Senator Warren … Why did you undergo the DNA testing and give Donald Trump more fodder to be a bully?" she asked. There was a little laughter and perhaps some groaning in the audience at the question, given it's a sore spot for Warren. She privately thought she might have to apologize to progressive activists and tribal leaders for making a show of releasing the DNA test that she said proved her longtime claims of Cherokee and Delaware heritage. It showed she could be as little as 1/1,024th Native American, drawing mockery from conservatives, and liberals criticized her for giving credence to racial science and letting Trump get to her with his constant "Pocahontas" jabs. Nevertheless, she said she was "genuinely" glad to get the question. "I am not a person of color," she said. "I am not a citizen of a tribe. Tribal citizenship is very different from ancestry. Tribes and only tribes determine tribal citizenship and I respect that." Warren said Republicans "honed in on this part of my history" when she ran for the U.S. Senate in 2012. "A lot of racial slurs and a lot of ugly stuff, and my decision was I’m just going to put it all out there. All my hiring records. Including the DNA test. It’s out there. It’s online. Anybody can look at it," she said. "I can’t stop Donald Trump from what he’s going to do. I can’t stop him from hurling racial insults. I don’t have the power to do that," she added. It was the first time she mentioned Trump by name during her Iowa visit. She returned to her economic message, saying 2020 was not going to be about her family, but rather "the tens of millions of families across this country who just want a level playing field." This entry was posted in Politics and tagged Donald Trump, Elizabeth Warren. Bookmark the permalink.